A large storage compartment with zip closure. The exclusive Kinmart toiletry bags are a must have in any collection. Made of high quality Pu leather with diamond quilted. 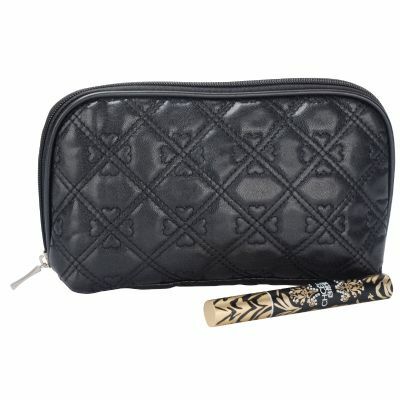 This bag is perfect to store all of your makeup item and brushes when you go out.